This car is right up near the top of my list of dream cars, probably in the Top 5. 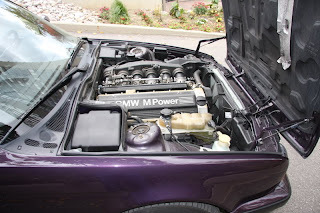 I wrote about an M5 sedan back in March. You can find the post here. Everything I wrote about that car holds true for this one. 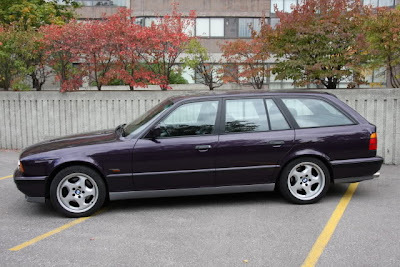 The big difference being, of course, this is a station wagon (or Touring, as BMW calls their station wagons). That's what makes it so desirable to me. I really like station wagons. This is a station wagon that can get to 60 MPH in 6.4 seconds. This is a station wagon that has an electronically limited top speed of 155 MPH. 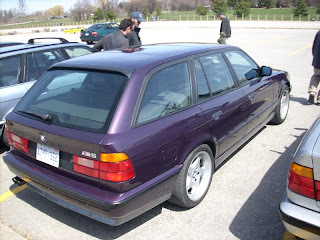 This is a station wagon that can out-handle many sports cars. This is a station wagon I'd love to own. The problem is, I realistically can't. BMW never offered the M5 Touring in North America. I'm sure there were marketing studies done and at some point BMW determined that there wasn't a big enough market for the car in North America, but it wouldn't have taken much to offer the car here. The drive train and body had already been certified. They could have offered it as a "special build" or something like that. Oh well. You can go crazy trying to figure out corporate decisions, it's usually best not to think about them. 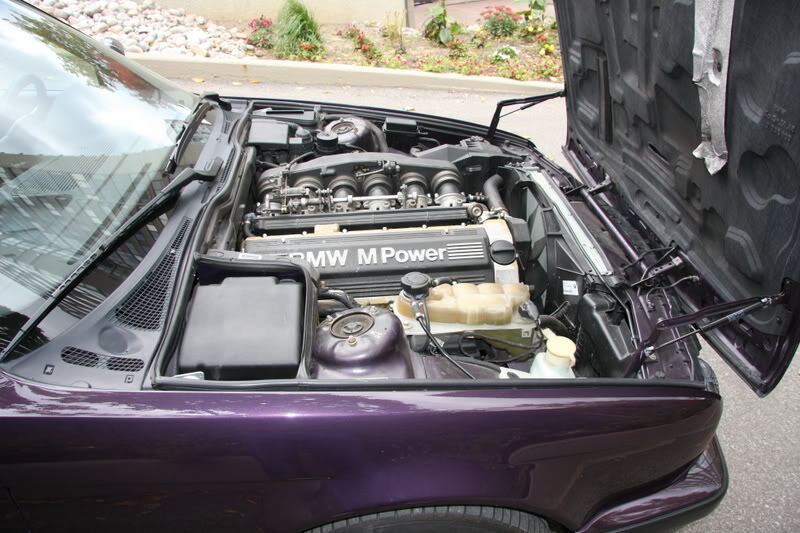 The car has been very well maintained with all the usual older E34 / M5 issues having been addressed. The color, I guess, is a matter of personal taste. Me? I kind of like it. It gives the car a unique look. This car is very legally titled in Canada. Canada allows cars over 15 years old to be legally imported. Unfortunately, here in the US, we have to wait until a car is 25 years old. It will be another 7 years before this car will be officially allowed across the border. There are ways to get around that, I'm sure, but I don't know them and I'm in no position to risk $19,000.00 on a car that could get confiscated by the feds. For now, at least, an M5 Touring will remain one of my dream cars. I was having some drinks the other night with a friend. He's a musician and had just gotten back from a 4 month tour, which included a few shows in Canada. He was telling me how much he liked Canada, saying at one point, "It's worth moving there just for the beer". I told him I thought it was a little weird to move to another country just for beer. I wonder if anyone would think it was weird if I moved to Canada just for this car? A big thanks to my friend, John, for sending me the link to this car. 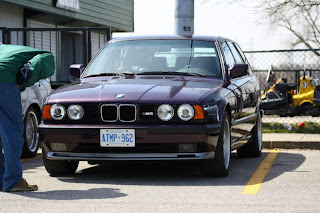 Y'know, I've seriously wondered about moving to Vancouver from San Francisco, partially just because of all the cool cars there- Nissan Pao (commonly imported from Japan), more Renault 5s, Mercedes B-Class, and this M5 is another gooood reason. Tempting. Very tempting. This longroof is Number 1 on my list. The 97 Mercedes E320 longroof with AWD is Number 2. I'm saving up to get one (only 10 more years to go)!